Justices of the Peace are in regular attendance at some of our libraries. A Justice of the Peace (JP) can witness signatures and documents, certify document copies, hear oaths, declarations, affidavits or affirmations as well as sign citizenship, sponsorship or rates rebates applications. There is no charge for this service. You can Find a JP on the JP website and information is available in Te Reo Māori and other languages. 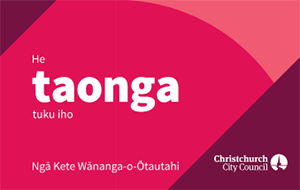 A JP is available in the Christchurch West Citizens Advice Bureau, in the Community Centre wing of the building housing Hornby Library, every Monday and Thursday 9:30am to 12:30pm. This is a free service. Phone 03-349-5236 to confirm. A Justice of the Peace is available at the following libraries every Tuesday 10am to 1pm. This is a free service. No appointment is required. Ōrauwhata: Bishopdale Library and Community Centre has a JP available every Wednesday 10am to 1pm. This is a free service. No appointment is required. A JP is available at the Little River Library and Service Centre every Thursday 11am to 12.30pm. This is a free service. No appointment is required. A JP is available at Spreydon Library every Thursday 10.30am to 1.30pm. This is a free service. No appointment is required. A JP is available at Matuku Takotako: Sumner Centre every Saturday 10am to 12pm. A JP will be available at Papanui Library every Saturday 10am to 12pm. This is a free service. No appointment is required. If you want to certify a true copy, have the original document and the copy with you. If certifying transcripts printed from the internet or email attachments, the JP will need to see the original website or email on your computer or cell phone (or a library computer). If you are certifying a text message, the JP will need to see the whole message on your computer or cell phone. If certifying documents for banks or financial institutions, the JP needs to see the person named in the document and their photo ID e.g. Passport, Drivers licence or 18+ card. If you need a declaration, the declarant must be present in person and preferably have photo ID e.g. Passport, Drivers licence or 18+ card. If you need an affidavit, the deponent must be present in person and preferably have photo ID e.g. Passport, Drivers licence or 18+ card. For more information about making your JP visit quick and easy, read the checklist for visiting a Justice of the Peace on the Royal Federation of NZ Justices' Associations website. Is there a Justice of the Peace (JP) at the library?